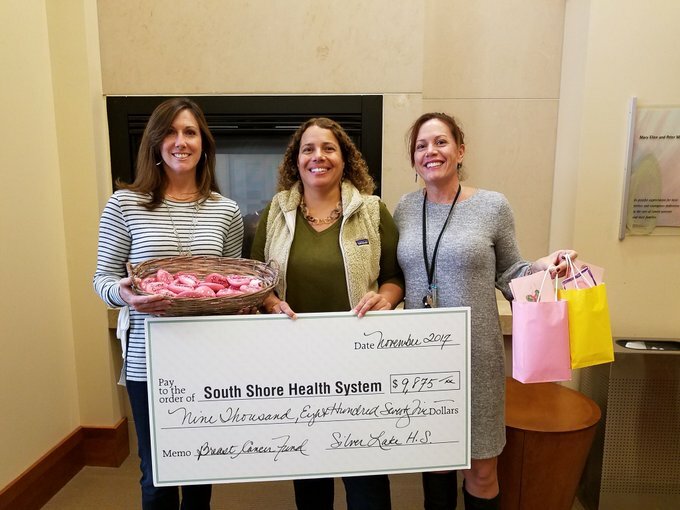 Last week Silver Lake Regional High School wellness teacher Marlene Lopes along with Karen Triangle the principal’s secretary, dropped off a check to Dana Faber South Shore Hospital Breast Care Center for $9875. The amount is the result of two weeks of fundraising activities and events that brought awareness to Breast Cancer. 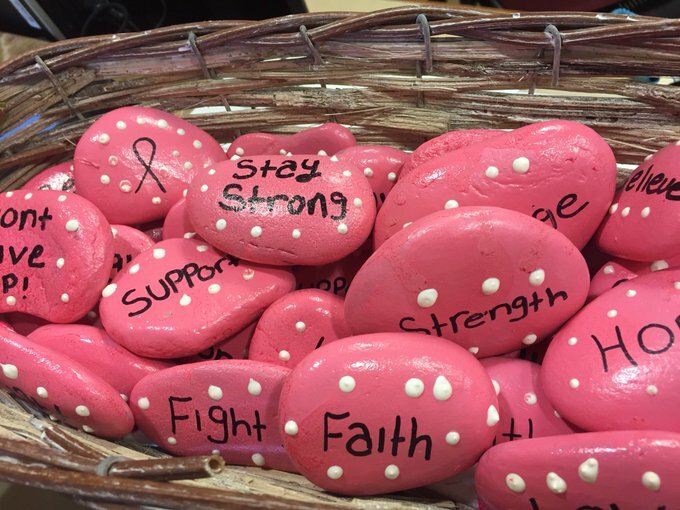 Along with the check was a basket full of pink painted rocks with inspirational messages created by the soccer team for the patients of the Dana Faber South Shore Breast Care Center.